If a real superfood did what this stuff has done to my face, I really think I would have cracked the code of eternal youth. Seriously, I haven’t used anything like this before. I do yoga, regularly juice, use coconut oil, eat chia seeds, take my vits like spirulina, and eat my greens, but nothing has made me look instantly healthy and glowy this fast. The Stemcell Super Food Facial Oil from Rodial is like a facelift in a bottle. It’s a dry oil that is worn under a moisturiser which contains antioxidants, Vitamins A, B5, C, and E to balance moisture, radiate skin, and hydrate it. It uses the latest stem cell technology, Phytocell Alp Rose which protects the skin from daily aggressors and therefore reducing the skin from the apperance of wrinkles. The PhytoCellTec alp rose serum improves visual vitality of the skin, the rosehip seed oil promotes skin elacitiy, maurla oil is rich in omega oils so softens skin, vitamin C illuminates skin, and bassu oil works as an anti oxident while smoothing out fine lines and wrinkles. Apply around three drops onto cleansed skin and pat onto face and neck, concentrating on areas of expression lines. 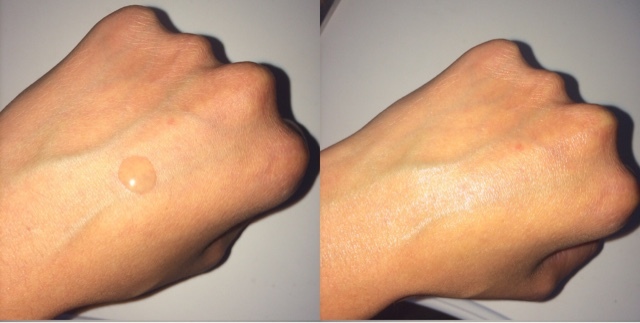 You have to be quick because it absorbed into the skin super fast and leaves a beautiful sheen. If you can help it, try not to use too much and bathe in it, because it smells incredible. The rose scent is so amazing, it soothes not only your skin, but your emotions. It’s like putting a real life Instagram filter on your face – after applying your left with perfectly radiant skin which glows from within. It’s fascinating. I still don’t get it, and what surprises me most of all is that it keeps makeup in place all days, and enhances your foundation so that skin I was talking about earlier, still shines through. I’m obsessed with this product. It beats any primer I have ever used, and on some days, I have even ditched my illuminater which I use before my foundation because this stuff luminates skin without makeup. 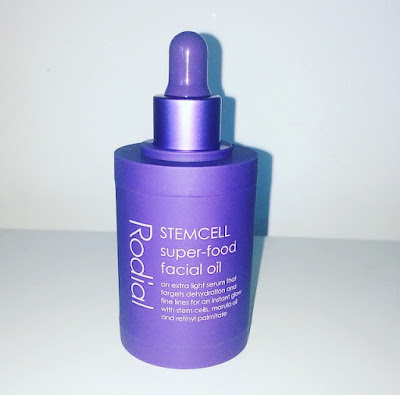 I discovered Rodial a few weeks ago when I went to their Skin Bar in Harvey Nichols. Since using heir products, I have noticed a huge difference to my complexion. My skin is looking younger, brighter, smoother, and so good I have started to wear less makeup. 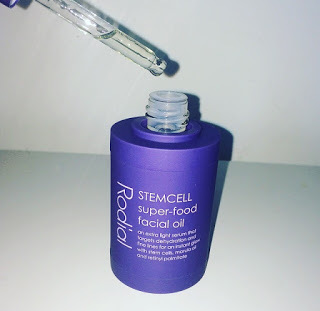 This Stemcell Super Food Facial Oil is definitely my favourite. It’s expensive, but really worth it.